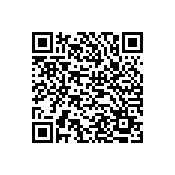 If you can scan it, then download the app. SEE THE PICTURE ALBUM FROM DECEMBER!!!! Ps. Looking for Wedding DJ? Festivals, Sound, or Lighting?? CONTACT 412.980.7653 for all AMERICAN< LATIN AND INTERNATIONAL MUSIC GENRES!!! 1st SALSA NIGHT of 2014 TODAY WEDNESDAY at MEXICO CITY CLUB!!! We’ll see you at 9:45pm !! !